When it is time to begin upgrading the look of any room in your home or business we want you to take a moment to consider the benefits that come with laminate flooring in Tacoma, WA. The staff at The Floor Trader of Tacoma has been selling high-quality flooring for four generations, and we want you to find the perfect fit for your space and budget. Laminate wood flooring and laminate tile flooring are great solutions when you are looking for attractive and durable options for your home or business. Built strong, laminate floors are made to last thanks to their tough external layer and resin coating. Have a high traffic area in your building? Maybe you have active children or pets? This flooring option can protect against a lot of the wear and tear you might find otherwise. Much more affordable than traditional hardwood, laminate wood flooring is able to give you the look and quality you want while keeping you on budget. You don’t have to stick with the wood style either; laminate floors come in stone and tile finishes as well as a variety of different colors, surface treatments, thicknesses, and plank styles. You are sure to find the right match for your space. 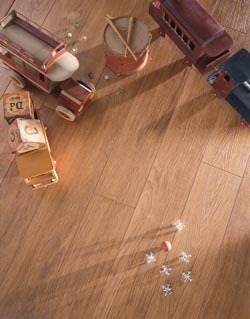 Laminate is very easy to clean and maintain as well. You don’t need any special cleaners or tools to quickly get your floor looking like new again. Just sweep on a regular basis, and your laminate will continue to look good for years to come. Not only that but since there is no place to trap dust or other particles that can cause allergies, this flooring option is an excellent choice for individuals with allergies. A very versatile flooring option, laminate indeed shows you just how good of an investment it is when you have it installed by trained and skilled professionals. Our laminate flooring installation services make sure that your new flooring is installed the right way the very first time so you are able to enjoy all of the benefits that come with your new floor. Contact us when you are interested in learning more about what our laminate flooring can do for you. Laminate floors are a perfect option for clients located throughout the Tacoma, Washington, area.